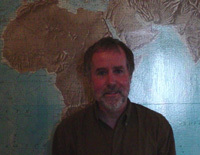 Timothy M. Shaw was educated on three continents, and holds degrees from Sussex, Makerere, and Princeton, now augmented by an honorary PhD from St Andrews in Scotland (2014). He taught at Dalhousie for three decades (1971-2000), and directed the Pearson Institute, the International Development Studies department, and the Centre for Foreign Policy Studies. He has held visiting professorships in Denmark, Japan, Nigeria, South Africa, Uganda, UK, USA, Zambia, and Zimbabwe. In the present century, he has directed the Institute of Commonwealth Studies at the University of London, the Institute of International Relations at the University of the West Indies in Trinidad and Tobago, and the new PhD in Global Governance and Human Security at the University of Massachusetts Boston, where he continues to serve as a visiting professor. Tim also continues to edit the International Political Economy (IPE) series for Palgrave-Macmillan and Springer, and the IPE of New Regionalisms series for Routledge. He has published in a range or refereed journals. And he has held grants from a wide range of sources, from Canada (CIDA, Department of Foreign Affairs, SSHRC, IDRC, etc. ), the European Union (GARNET, NETRIS), the North-South Institute, Qatar National Research Fund, and the UN Economic Commission for Africa, among others. Tim has been proud to mentor some fifty PhDs in Africa, Canada, Europe, and the United States.